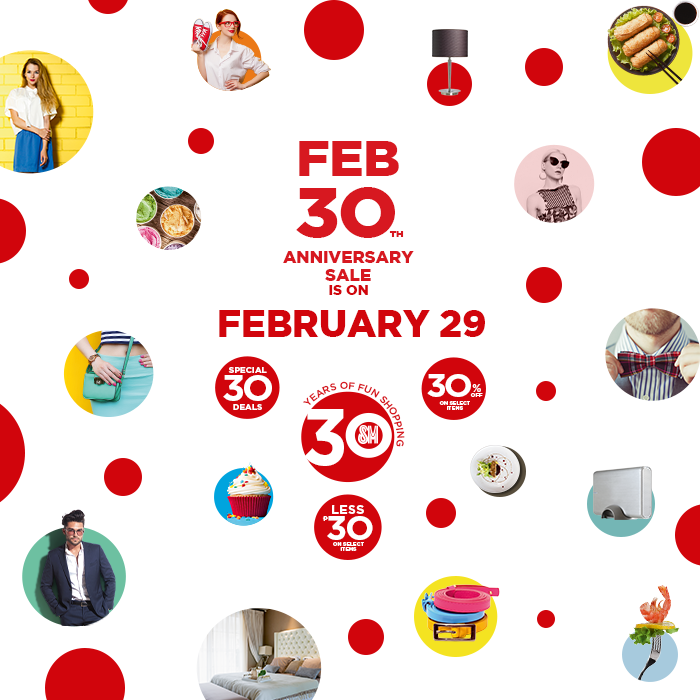 Now we know what’s up with the photo that went viral a few weeks ago: SM Malls is celebrating its 30th Anniversary with a kickoff sale this February 29! Shop for items at 30% off, or 30php off, or for just 30php! Leap your way to your favorite SM Mall and shop til you drop!